Last week those of us who read the newspaper woke up with bated breath to catch up on the latest on the infant who had fallen into a well. In spite of intense efforts on the part of the state machinery assisted by the team from the NDRF the incident had a sad ending. The infant could not be saved. There are millions of such open borewells in rural India. There are also millions of children playing around them. 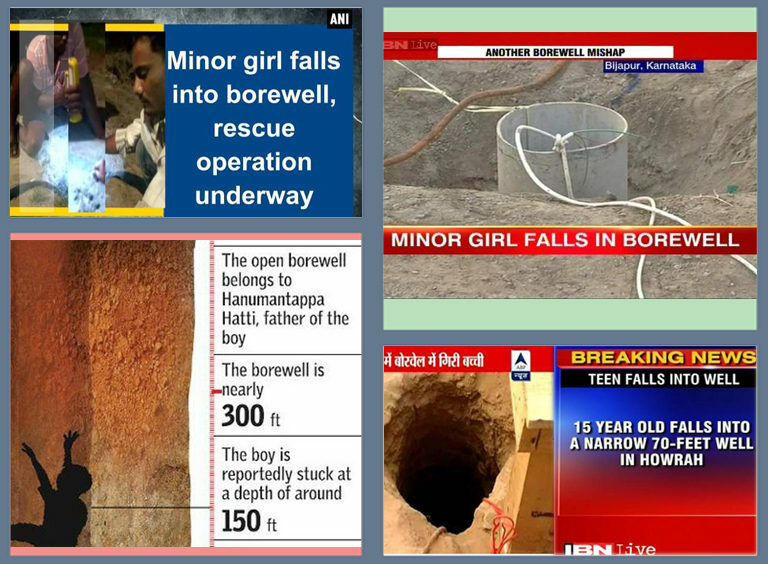 The risk of a child falling into one such borewell is enormous. The heartbreak that a family has to undergo when a young member dies is indescribable. It is an equally big loss to the nation. This is a tragedy that can surely be avoided with some innovative ideas and careful planning. And it does not brook further delay. While the tragedy in rural Telangana was unfolding last week, we at CIPS received suggestions with innovative ideas on how the risk posed by such open borewells can be reduced and avoided. Some suggested constructing low parapet walls around its circumference, others talked of putting plastic netting on top of the well. We believe this is a problem that can be tackled and doable solutions found. There are village level functionaries and at the Panchayat level who can enforce the guidelines. Our young District Collectors can be our partners in this exercise. And CIPS will reward those panchayats/ villages/ districts that can do it first. So today we address our readers and seek suggestions from them. There are many such open borewells in our country. And we regularly hear of mishaps of children and even elders falling into these wells either due to darkness or vegetation around the well hiding its presence or as with children, sheer carelessness due to playful abandon. Today it is Telangana, last time it was in Uttarakhand or in rural Bengal or Maharashtra, and tomorrow such misfortune can strike anywhere. This is an accident that through some effort is avoidable. How can we make such open borewells secure? We welcome ideas from all: students, public servants, parents and teachers. We are all stakeholders in this exercise, to make lives of our children and everyone else safer. Please post your suggestions on CIPS website within 15 days. We will share the result with you.